What would happen if at a school’s talent show some parents stood up and started heckling the child playing the piano or dancing in front of them? “You’re awful!” or “You call yourself a dancer?” For one thing, it would never happen. And if it did, the rest of the audience would turn on the heckler and defend the 13-year-old performer. Even if every parent in the audience inwardly agreed that the child was talentless, they would keep their opinion to themselves for the time being and clap at the end of the performance. Why? Because of the negative consequences of behaving uncivilly—to one’s reputation and even to one’s standing in the community. Common sense, right? How come then common decency is thrown out the door in the case of Rebecca Black’s YouTube performance? Why can so many people not refrain from publicly ridiculing this 13-year-old girl trying to be a singer and songwriter? What explains the essential difference in behavior when the medium is the Internet? What changes people when they interact online? Why do they behave so savagely so often? Could it be the anonymous username? Could it be that when they hide behind an alias, they feel invisible, and hence not accountable for their actions? Is the anonymous username the modern-day Ring of Gyges? 1) Value privacy above all else. Sure, a username gives you some extra privacy, but of what use is such privacy? If you can’t publicly stand by what you do online because doing so would damage your reputation, then maybe just don’t do it. Show some integrity and stand by your comments on an Internet forum. There are legitimate concerns over privacy, I don’t deny it, but ultimately people need to understand that public identity and privacy are two different notions, and that you can declare who you are without violating your own privacy. It’s not even hard to manage. Simple steps go a long way; steps such as thinking twice before posting personal details, and keeping off the record birthdays, phone numbers, street addresses, medical and financial records, and SSNs. Disseminating this kind of information on the Internet can be disastrous to your privacy. Divulging what your favorite music bands or movies are? Not so much. Free speech is another catch cry in behalf of the anonymous web, and sure, if you live in Iran, and wish to speak out against the government, then you have a case. But if you yearn for “free speech” as nothing more than a cover for bad-mouthing people while not exposing your identity, then your tirade about anonymity and free speech on the Internet doesn’t garner much sympathy from me. Some people need the web to be a fantasy land, a valve of release. 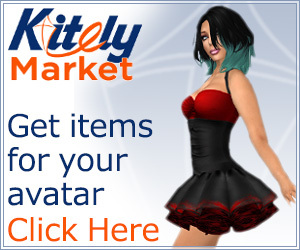 I understand people not divulging their real identity on sites like IMVU or Second Life. Doing otherwise would defeat the purpose of such virtual worlds premised on escaping reality.But should we commiserate with someone who wants to live vicariously as a bully on YouTube, or as a jerk on TechCrunch or the WSJ? I think not. I predict that one day a transparent online identity will become the norm, and lurking behind anonymous usernames, the exception. More and more people will put a premium on interactions with other people whom they can identify, and who can be held accountable for their online actions. One’s Internet reputation will become almost as valuable as one’s offline reputation. Even today, we’d all rather know who left that comment, wrote that article, sent that email, or is selling this car. It’s already happening and, in my opinion, it’s the main reason why Quora has been so successful: because it requires some form of verified, public identity. More illustrations of the trend include successful sites such as About.me, card.ly, flavors.com, etc. On the Internet, we want to deal with people of clout, who don’t hide their name and face. “BigBizDog88” is so 1999. The web is emerging from its chaotic and troubled adolescence, where anything goes and you can be anyone or no one. There are more and more people to interact with nowadays, and on many more levels than in the past. The potential for clutter grows exponentially, along with the size of the Internet itself. So pretty soon, we won’t have the time of day to give to anonymous nobodies. My prediction is that in the not-too-distant future, a deep chasm will open throughout the Internet. On one side of it will be a transparent market of ideas, where people network and transact with their cards on the table and virtual name tags on. And on the other side will be the black market, so to speak, of shady dealings, casual encounters, cyber bullying, and other unsavory activities, all of which thrive only under the shade of the anonymous username. Going by an anonymous username, even for what are today considered legitimate reasons (i.e., privacy considerations and the like), will be considered your “opt out” from the open and accountable Internet and will leave you on the dark side of the chasm. Unfortunately, even if you have the best intentions, you’ll be left in the company of the BigDog’s and hotdude’s of the web, untrusted and ignored, like spam. Josh Mackey is the general manager for product at PeekYou, one of the top people-search engines on the Web. He is also the co-founder of the newly launched Obsessive Ink, the only fully interactive 3D tattoo visualization tool in the world. His start-up experience over the last three years has been focused on collaborative innovation, value driven transaction based business models, and catching up on all things tech.